Kamarhatty Company Limited (KCL), set up in 1877 under British managing agency Jardine Henderson Ltd, is one of the oldest functioning composite jute mills in the world and is a source of employment for over 5000 and above people. Located on the banks of the river Ganges in Kolkata, KCL is a part of the US$ 50 million Kamarhatty Group which today epitomizes leadership, vision, determination, innovation and growth. Still young in terms of existence, the Kamarhatty Group has, in a very short span of 7 years, established itself as a formidable player in Jute, Paper, Power Generation and Warehousing. 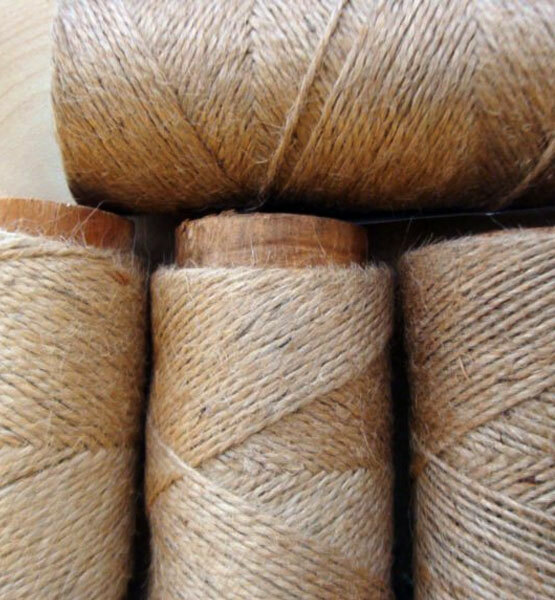 Jute has always been an area of immense thrust and endless opportunities for the group with the present management having an experience of over 20 years in managing jute mills. Investments of over US $ 7 million have been made in KCL over the last 5 years towards the setting up of a state-of-the-art Fine yarn unit, a bleaching and dyeing unit and in scaling up and modernization of existing capacity. This investment in capacity addition and diversification has had a direct impact in terms of the company's top line, operating costs, production and more importantly productivity. Today, the company boasts itself at being one of the lowest cost processors of jute in the country. The Company sets for itself very high standards of quality and has successfully implemented stringent quality norms at all levels of production. In this way it has been able to successfully meet the challenges of a fiercely competitive market in the recent past. CNBC-TV18 and ICICI Bank Ltd organize the Emerging India Awards every year to salute the resilience and strength of character of India’s small and medium enterprises. Kamarhatty was selected for this honour after a careful screening of over a million small and medium enterprises from over the country. The screening was done by CRISIL, India’s premier rating agency. 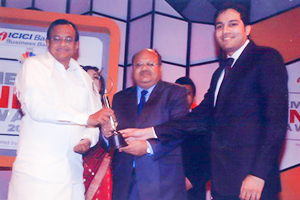 Seen in the photo: Mr. Sushant Kumar Agarwal, Managing Director and Mr. Harsh Nahata, Executive Director receiving the CNBC-TV18's Emerging India Awards, 2009 from the Hon’ble Home Minister of India Sri P Chidambaram at an awards function in New Delhi. Sushant Kumar Agarwal is today the face of the Kamarhatty Group. A recognized stalwart of the industry, he is credited with many firsts with respect to the jute manufacturing process, technology and modernization. A very keen member of the Indian Jute Industries Research Association (IJIRA), he has spearheaded the group’s visionary diversification into manufacturing of kraft paper, fine yarn and power generation. Mr. Agarwal is intricately involved in the day to day functioning of the company. Harsh Nahata is a Bachelor of Commerce and a gold medalist Chartered Financial Analyst. He has secured a Masters in Business Administration, specializing in finance and marketing. Mr Nahata has experience in engineering and marketing of financial services. He hails from a family with over 50 years experience in raw jute supply and has rich experience and in depth knowledge of trading of raw jute. He brings new ideas and outlook to a century year old industry. A Qualified Jute Technologist, he was Managing Director of Jute Corporation of India Ltd., a Government of India undertaking for 5 years from 1973 to 1978. He is a consultant in all matters relating to Jute Industry from 1978 till date. Served as member of various committees under IJMA, IJIRA, BIS, Tariff Commission, IRCI (later IRBI and IIBI), IFCI and committee formed by the Government of India for management of taken over Jute Mills from time to time. Zakir Hussain is a retired senior bureaucrat. An Indian Administrative Service (IAS) officer, he has, during his term of service served at various senior positions in the Department of Commerce & Industry, Government of West Bengal, India. He is also the ex District Magistrate of the South 24-Parganas district of West Bengal. Mr Hussian brings with him very rich experience of administration and management. M/S MAHESWARI DATAMATICS PVT. LTD.
Corporate Social Responsibility Committee- Syed Zakir Hussain, Gautam Ukil, Ashis Dasgupta & Sushant Kumar Agarwal. Deriving Extraordinary Results From Ordinary People. At Kamarhatty, we believe in deriving extraordinary results from ordinary people. We have strived to develop a work atmosphere that facilitates the maximization of human potential. We endeavour to train and coach our people to question mediocrity and exhibit high levels of awareness. The Company mandates for greater degree of consciousness and openness with regard to quality at all levels and stages of the jute manufacturing process. The company has well equipped testing facilities to ensure adherence to these standards for inward-materials, process stock as well as finished goods. The Statistical Quality Control team employed by KCL consists of techno-commercial experts who ensure that both quality and costs are optimized. They, in cooperation with the manufacturing team, continuously monitor the quality of production. We firmly believe that process improvement alone can take one far in ones endeavour of adherence to quality and setting newer standards. We are introducing new technologies for improvement of processes and are of the firm belief that state – of – the – art modernization is the only way forward. We keep a constant watch on proper maintenance and up gradation of the same. To sum up, we at Kamarhatty dream of excellence in all endeavours, of mutual benefit and prosperity and of highest levels of customer satisfaction. At Kamarhatty we make things happen. Our Responsibility Towards The Society. Fully equipped management housing for all levels of management staff. Staff club and recreation facilities. Labour colonies with basic infrastructure viz drainage, sanitation and water supply for resident as well as migrated workers. Primary school where education is imparted free of cost. Library - managed by local young boys association. In addition to above, we support local clubs/groups and associations in various community development programs, relief work and recreational activities. The company patronizes various charities and NGO’s of local as well as national standing. At Kamarhatty, we have a second way of looking at social responsibility. We strictly adhere to ethical decision making to strengthen our businesses thereby positively impacting the interests and health of those stakeholders that are outside of the business environment. Copyright © 2018 Kamarhatty Company Limited.